The Permanent Mission of Brazil, the Permanent Mission of the Republic of the Philippines and the Permanent Mission of the Republic of Zambia, in collaboration with the International Detention Coalition (IDC), UNICEF and the Initiative on Child Rights in the Global Compacts, are holding a cross – regional exchange alongside the 5th negotiation of the Global Compact for Safe, Orderly and Regular Migration. The exchange aims is to demonstrate migration governance without resorting to child detention is not only possible, but it is in fact a reality in many States. 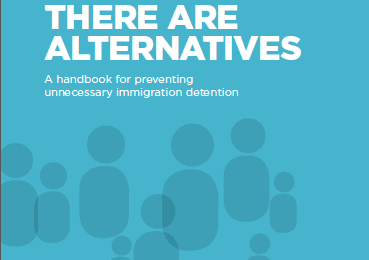 Many States are taking positive steps towards ending child detention, often with the support of international and civil society organisations. 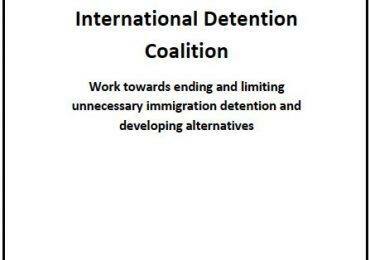 In order to end the practice of child immigration detention globally, these positive practices and successful pilots should be shared, scaled up and promoted. 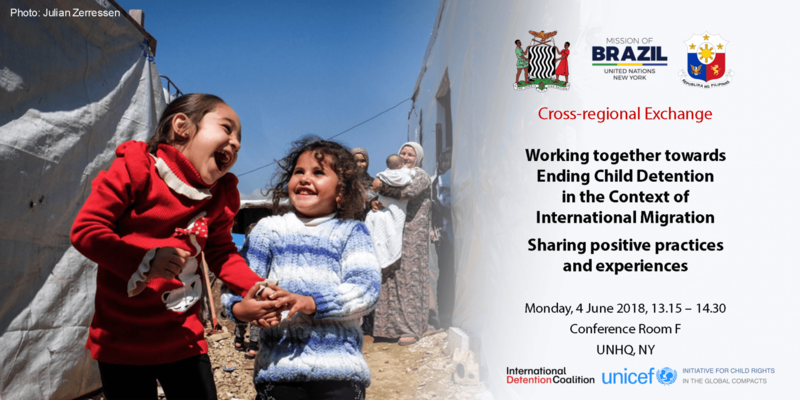 The exchange will open a space for States to discuss their experiences implementing alternatives to the immigration detention of children and to explore how dialogue and experience-sharing could illuminate the implementation phase of the Global Compact for Safe, Orderly and Regular Migration.